Published: Nov. 19, 2017 at 06:59 a.m. Updated: Nov. 19, 2017 at 02:55 p.m. 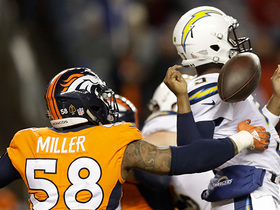 The Denver Broncos' losing streak has reached five game, and the angst is now palpable. As Denver prepares to host the Cincinnati Bengals on Sunday, it will do so with a quarterback situation and an offense under an intense microscope. 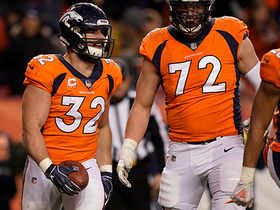 On Friday, Broncos general manager John Elway spoke openly about the team not being competitive in their recent losses, saying that is "probably what concerns me the most." He added that the team "got a little bit soft" after their fast start. 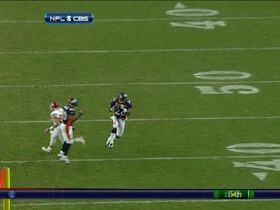 It was, no doubt, a challenge from Elway to his team. While Elway spoke in generalities about the team, sources say there is growing frustration in the building with the offensive scheme. Ranked 24th in points per game, with a quarterback situation that hasn't been resolved yet, the offensive output and efficiency must improve. Elway, by the way, supported coach Vance Joseph and said he knew there would be growing pains with a first-year coach. Brock Osweiler will start again for the 3-6 Broncos, Paxton Lynch will be his backup, and original starter Trevor Siemian is inactive. The hope is this is the beginning of the turnaround. If it's not, don't be surprised to see some changes on the offensive coaching staff next year. Mostly, the dissatisfaction comes from the offensive playbook being unwieldy. Elway has always believed in execution over everything -- simple and fast -- rather than focusing on trying to out-scheme the opponent. The belief is the offense has contained too much this year. At times, the playbook has featured more plays than even when Peyton Manning was under center in Denver, except this version of the Broncos has inexperienced QBs. Fewer plays could equal better performance. Some of this will change Sunday, a continuation of what started last week. The scheme will be pared down and simplified. The hope is it will potentially allow players to execute better. Play-calling has been an issue, those in charge believe. 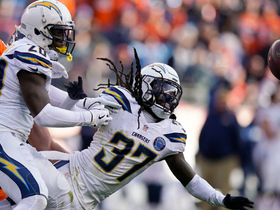 If all goes according to plan, the difference will be noticeable against the Bengals. If not, the Broncos' decision-makers might have to make some tough calls at the end of the season.